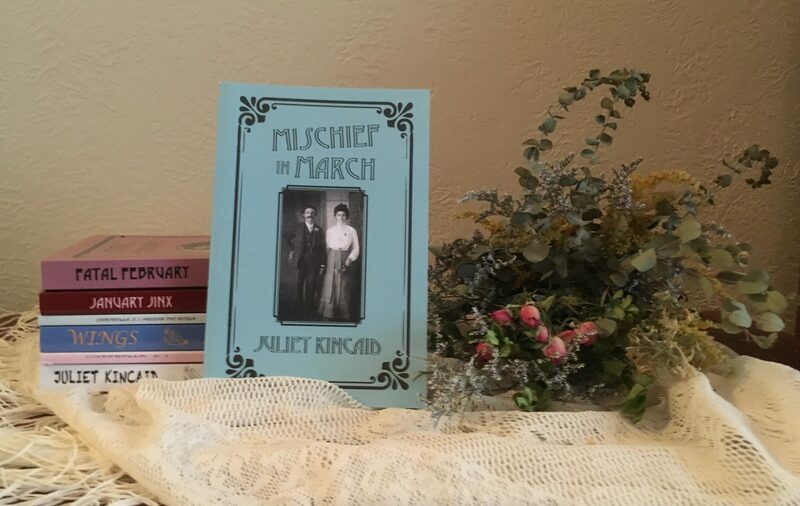 By the time I needed a cover for January Jinx, a light-hearted historical mystery set in Kansas City around 1900, I’d already done cover illustrations and design for several stories and two books, plus the theme for my website. Here are some of the lessons I’d learned. But she’s very busy with her own work, so I hesitate to ask her for too many favors. So I knew that sooner or later I needed to master some basic aspects of Photoshop. This I resisted for a long time by making copies of the cover paintings, printing the text onto the copies, and formatting these as jpgs in Photoshop. 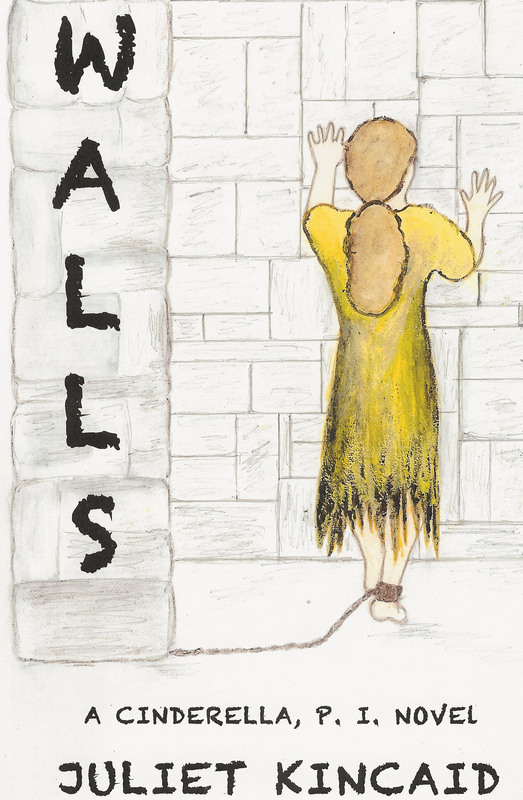 But in this process the colors faded, and I lost details, especially on the cover of Walls, a Cinderella, P. I. Novel. 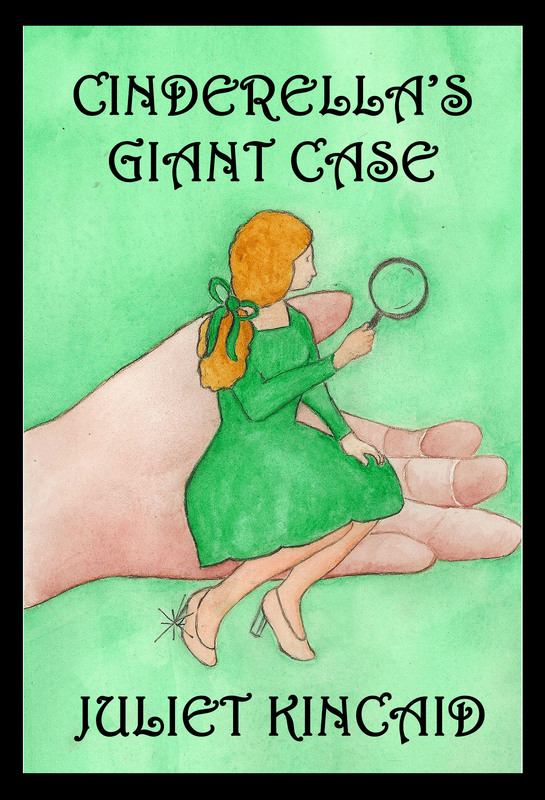 And before I continue, I want to thank my daughter for her help with the cover of “Cinderella’s Giant Case” and GK for his help with the two covers and for all his generous freebies later on, especially when I’d passed into hi-tec anxiety and sat stooped, twitching with frustration, over my keyboard. 4. Gradually I learned, mostly because of my limited graphic arts skills, to keep the cover images simple with the overall design fitting a 6” by 9” format and to limit the contents of a cover to the title, the image, and my name. 5. 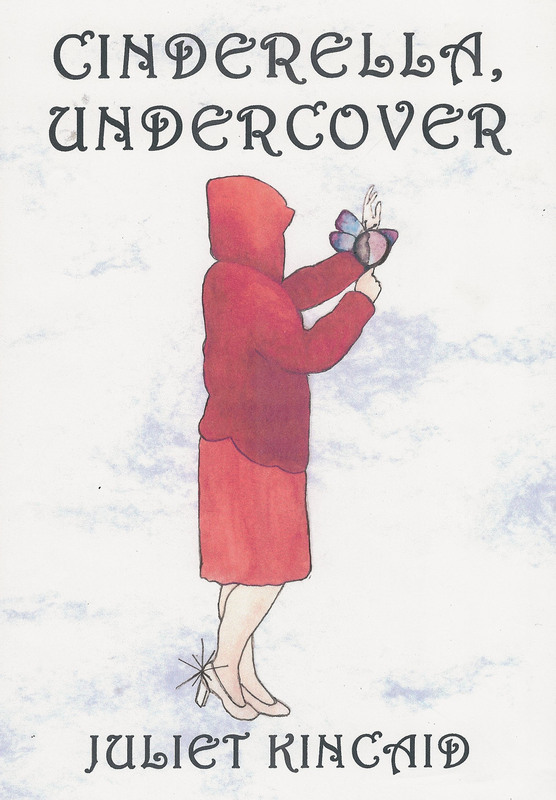 Here are two lessons about cover design I learned that I sort of wish I didn’t have to know: It’s not a good idea to use an extremely vertical cover image of my p. i. because Facebook whacks her head and feet off when it posts the thumbnail of the cover. It’s also not a good idea to have a really horizontal image like the one I did of Cinderella for my website because Facebook chops her off at the shoulders and hips. I’ll leave you with that grisly image in your mind until next time. 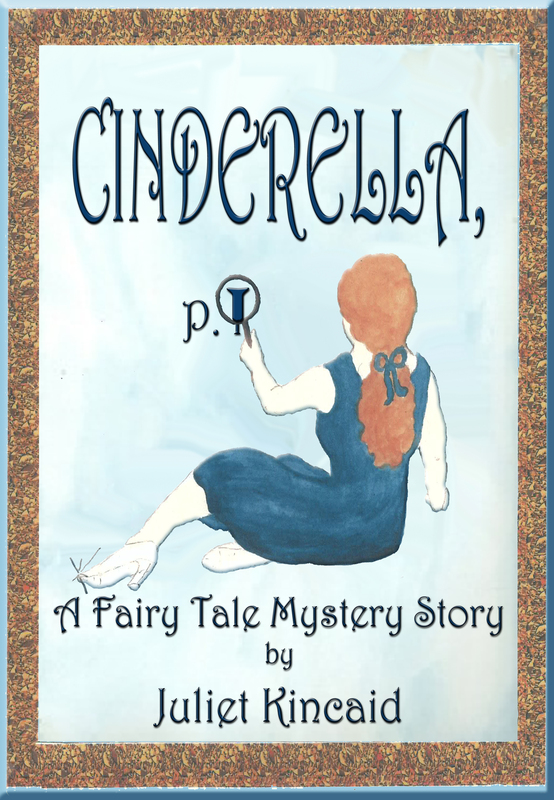 Meanwhile you can buy the three stories I’ve mentioned individually as Kindle eBooks or these stories plus nine more in Cinderella, P. I. and Other Fairy Tale Mystery Stories as a Kindle eBook (www.amazon.com/dp/B00GMMUSTI) or trade paperback. Walls, a Cinderella, P. I. Novel is also available as an eBook (www.amazon.com/dp/B00FQLQ2WI) and trade paperback. January Jinx is now available as a Kindle eBook (www.amazon.com/dp/B00HSSSBE4) as well.